Fifty years ago this week, Duke students faced off with computers in model car races and tic-tac-toe matches in the annual Engineers’ Show. In stark contrast to the up-and-coming computers, a Duke Chronicle article dubbed these human competitors as old-fashioned and obsolete. Five decades later, although we humans haven’t completely lost our foothold to computers, they have become a much bigger part of our daily lives than in 1965. Yes, there are those of you out there who fear the imminent robot coup is near, but we mostly have found a way to live alongside this technology we have created. Perhaps we could call it a peaceful coexistence. At least, that’s how I would describe our relationship to technology here at the Digital Production Center (DPC) where I began my internship six weeks ago. 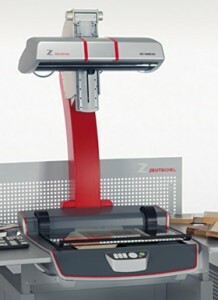 We may not have the entertaining gadgets of the Engineers’ Show, like a mechanical swimming shark or mechanical monkey climbing a pole, but we do have exciting high-tech scanners like the Zeutschel, which made such instant internet access to articles like “Man To Fight Computers” possible. 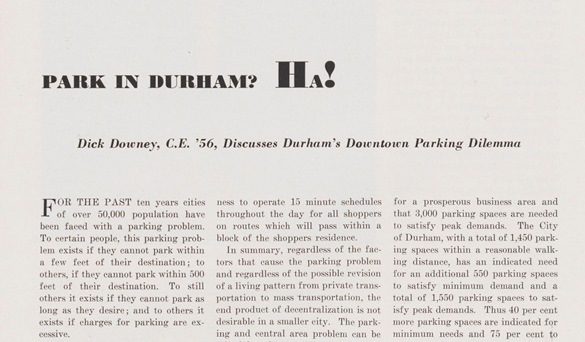 The university’s student newspaper has been digitized from fall 1959 to spring 1970, and it is an ongoing project here at the DPC to digitize the rest of the collection spanning from 1905 to 1989. My first scanning project has been the 1970s Duke Chronicle issues. While standing at the Zeutschel as it works its digitization magic, it is fascinating to read the news headlines and learn university history through pages written by and for the student population. 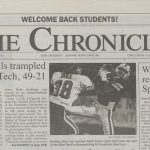 The Duke Chronicle has been covering campus activities since 1905 when Duke was still Trinity College. Over the years it has captured the evolution of student life as well as the world beyond East and West Campus. The Chronicle is like a time capsule in its own right, each issue freezing and preserving moments in time for future generations to enjoy. This is a wonderful resource for researchers, history nerds (like me! ), and Duke enthusiasts alike, and I invite you to explore the digitized collection to see what interesting articles you may find. And don’t forget to keep checking back with BitStreams to hear about the latest access to other decades of the Duke Chronicle. 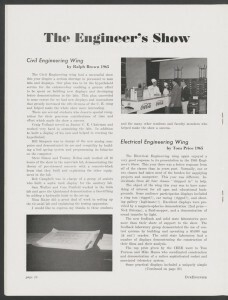 DukEngineer, The College of Engineering magazine, covered this particular Engineers’ Show in their April 1965 issue. The year 1965 doesn’t seem that distant in time, yet in terms of technological advancement it might as well be eons away from where we are now. Playing tic-tac-toe against a computer seems arcane compared to today’s game consoles and online gaming communities, but it does put things into perspective. Since that March day in 1965, it is my hope that man and computer both have put down their boxing gloves. 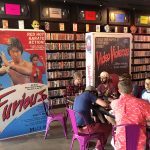 Announcing the DukEngineer Digital Collection! 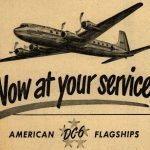 As the Engineering Librarian, and guest blogger for Bitstreams, I’m excited to announce Duke Digital Collections newest digital collection: DukEngineer! The DukEngineer magazine is the student run publication of the Pratt School of Engineering. This collection was compiled from the holdings of Duke University Libraries, Duke University Archives, and Duke’s Pratt School of Engineering and includes nearly every issue published during 1940-2013. The amazing team in the Digital Projects and Production Services department at the Library digitized 205 DukEngineer issues into images and text searchable pdf’s. This digital collection was coordinated to be part of the 75th anniversary celebration of Duke’s Pratt School of Engineering in 2014-2015. As stated in the inaugural issue dedication in May of 1940, DukEngineer has remained, “strictly a student venture” that covers the activities of engineering clubs, societies and departments at Duke. The publication also includes articles about advancements in engineering at Duke and worldwide, in addition to alumni and faculty profiles. The inclusion of a final page of jokes, puzzles or cartoons has also remained a tradition throughout the run of DukEngineer. Browsing the collection provides a fascinating overview of how things have changed and remained the same for engineering students since 1940. 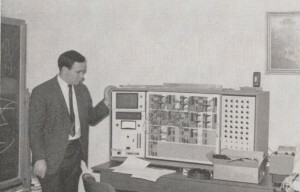 For engineering students, the magazine has many examples of the progress of technology for completing calculations, from the trusted slide-rule to (rather large) calculators, and then (even larger) computers. Eventually things became smaller and smarter, and Duke engineers have been part of that progress. Other technological advances that are covered include an explanation of the television in Dec 1940 and the many advancements in the space race during the 1960’s – just to name a few. 75 years of engineering students and faculty, means 75 years of changing styles, fashions and hairstyles. The students in the 1940’s frequently wore jackets & ties to class (looking more dressed up than most faculty today), where as in the 1970s and 80’s short shorts and big hair was the way to go. Of course, throughout the years, there may have been an examples or two of the stereotypical white shirt, pocket protector, black glasses, engineer style. Reading through the magazine, written from student’s perspective of the time, it is easy to be surprised at how things have changed in society as a whole and here at Duke. The cartoons, and joke pages are some of the prime examples of what was considered socially acceptable throughout the years. One of my favorite jokes (that I can use in this post) is from February 1956. The 1960’s and 1970’s also included a feature “Girl of the Month.” Some ‘lucky’ co-ed on campus (not an engineering student) was chosen to be highlighted each issue with a photo spread and some details about their likes, major and sometimes even a name. An issue in Spring of 1986 did a flashback of this and decided to try to even the score with “Men of the 80’s”. Of course, engineering at Duke has changed a lot through the years also. The College of Engineering at Duke became official in 1939. It has grown in the number of students, faculty, departments and buildings as it evolved into the Pratt School of Engineering that we know today. The big move of engineering from East Campus to West is illustrated on the cover of March 1945. Other highlights of engineering growth include the building of “old red” (aka Hudson Hall), the design and building of the new Teer engineering library building through the more recent Fitzpatrick Center & CIEMAS. We hope you enjoy browsing the issues of the DukEngineer digital collection. There are many amazing articles about advancements in engineering, fantastic advertisements, pictures of students, profiles of faculty and alumni, etc.